Part time Beauty Therapist/Nail Tech, Location, Morningside, Durban City, Job Type Part-Time. A busy salon in Morningside is looking for a Partime Beauty Therapist/nail tech ...BASIC SALARY AND INCENTIVE OPPORTUNITIES. 2 new job listings for this search have been found in the last calendar day, compared with 5 in the last 72 hours and 7 in the last week. The average salary for open Part Time jobs is currently R84,666, 78% lower than the national average salary for all jobs which is R370,455. The standard deviation of salaries for the results of this search is 68,896. Companies presently offering Part Time job vacancies in KwaZulu-Natal include Private Property, ..
41% of the live vacancies are full-time, however 59% of them are part-time positions. 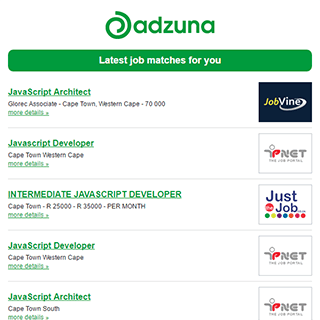 Get the latest Part Time Jobs in KwaZulu-Natal delivered straight to your inbox!